A NEW START FOR A NEW ROTARY? Our local Club, Chelwood Bridge is already well known in the Rotary world for its Water Survival Box Charity but is now seeking to create a local group in Farrington Gurney to focus on local issues and needs. 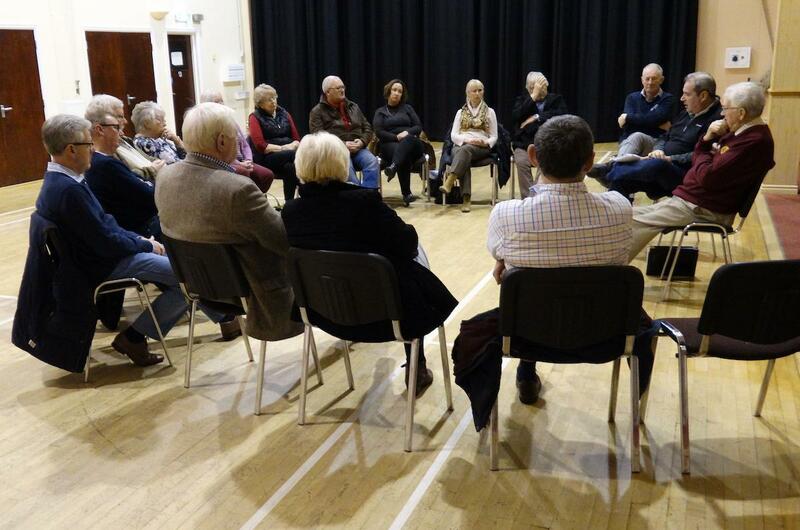 The first meeting was held on the 1st December 2017 at the Farrington Gurney Village Hall where a group of sixteen people from the village and adjacent communities, heard how starting a new local Rotary Group. This would be supported by the Chelwood Bridge club to provide the framework for enhancing local activities, fund raising and existing organizations, with the added advantage of making available a wealth of expertise and resources from Rotary International. The information provided was well received with many expressions of interest and it was decided to hold a second meeting on 19th January 2018 at the Village Hall to further discuss the possibility of setting up a Rotary Group and how to proceed. The second meeting of the group took place and we 14 people turned up, including some new faces to the last meeting and apologies were received from four others . Localities of those attending were predominantly Farrington Gurney with a mix of ‘new’ & ‘old’ villagers plus residents of Clutton, Chilcompton, Paulton and Hallatrow. Interesting amongst the new faces was a former Rotarian from Bury St Edmond who had relocated to Carlingcott , about 12 months ago, he had picked up details of the meeting our facebook site. All those present and a number of those unable to come gave clear commitment to take the necessary action to move towards formal recognition as a Satellite and the next meeting is scheduled for 22nd February at the Farrington Inn. A preference was expressed for twice monthly meetings on a Thursday with the venue being one of the key considerations at that meeting, a number of options are available. Anyone with an interest in social networking and turning something to their community whilst having fun are welcome to attend. Further information is available from Mike Hedges m.hedges764@btinternet.com; or Alan Smith on alangsmith@icloud.com. If you require further details please contact:- Mike Hedges or Alan Smith.